Coaldale Fire Company members prepare for the arrival of visitors during their open house and fire prevention program held on Sunday. Members and volunteers with Coaldale Volunteer Fire Company held Fire Prevention Day at their fire house on Sunday, October 4, 2015. In addition to fire prevention lessons via Fire Chief Steven Polischak, guests were given the opportunity to visit inside a fire safety trailer. Polischak said the trailer provides a way for firefighters and parents to teach children how to get out of their house safely should a fire occur. 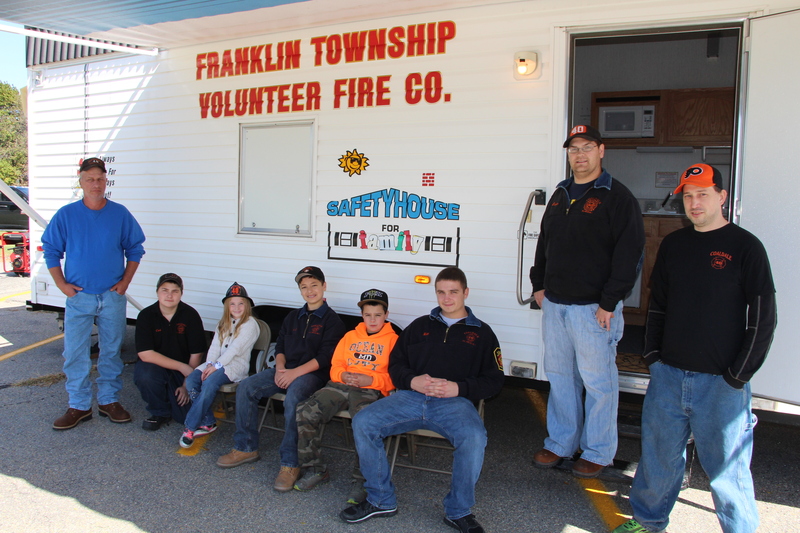 Polischak stated his appreciation to all the volunteers and to Franklin Township Fire Company for donating the use of their fire safety trailer. For more information about the fire company, visit their website at http://www.coaldalefire.com/ or on Facebook at https://www.facebook.com/Coaldale-Fire-Department-142427622476386/.